As or (1. ), we mainly use 2-photon calcium imaging to record activity of numerous neurons in vivo in mice. We are particularly interested in olfaction, because we can study the logic of sensory coding using a relatively simple neuronal circuit in the olfactory bulb. We can never understand the mechanisms of sensory coding without knowing the circuit diagram. To study the neuronal circuit structure (2. ), we are taking light microscopy-based connectomics approaches. 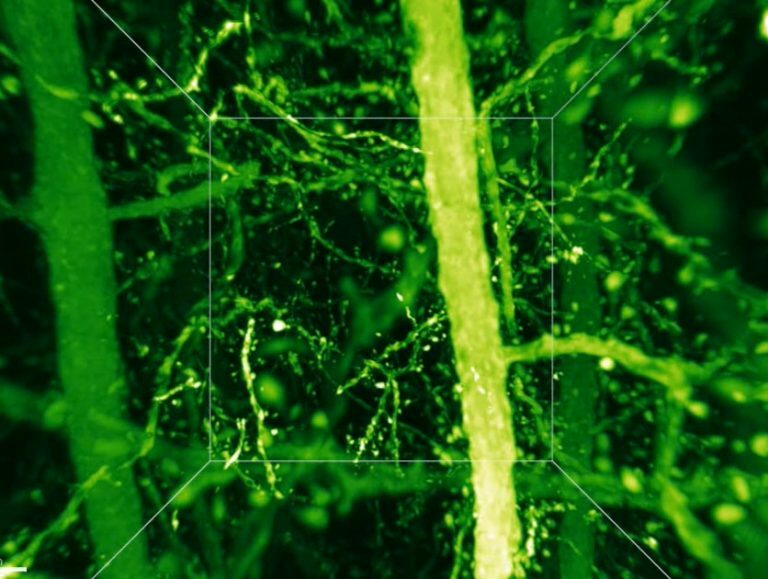 For example, we have been developing tissue clearing methods, SeeDB and SeeDB2, which facilitated the volumetric fuorescence imaging of fixed brain tissues. We are also working on the development of new genetic tools to label and dissect specific neuronal circuits (e.g., Tetbow). Lastly, the circuit structure is a result of developmental process. We therefore study the mechanisms of neuronal circuit development (3.). We use not only genetic approaches (e.g., in utero electroporation, CRISPR-Cas9, etc), but also imaging (in vivo and slice 2-photon imaging), optogenetics, and computer simulations to understand how neuronal functions emerges from a mass of neurons throughout the development. Our interest is not limited to embryonic development. Our brain develops throughout our life. Most likely, circuit remodeling should be happening during childhood, adolescence, various life events, and aging. Major questions in olfactory circuit development has been discussed in our latest review article. We want to know the origin of the neuronal functions. We are also studying the relationship between synapse development and neuropsychiatric deseases using somatosensory cortex as a model system. We believe that study in developmental neuroscience will give a new strategy toward diseases related to brain functions. As a lab in a university, it is also important to develop a new field and train studens. We welcome students with strong curiosity, motivation and vision for future neuroscience. Visit here and google translate it!